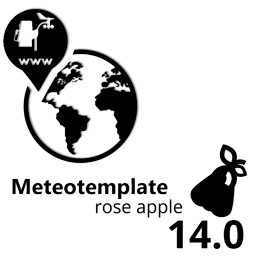 Hi guys, tomorrow, April 30th 2017, between 12 and approximately 16 UTC certain pages at meteotemplate.com might be temporarily not available (DEMO, wiki, Downloads). Plugin Update – WL-IP 2.1 – URGENT! Hi guys, users of WL-IP are currently not getting any data from WL.com. This is because Davis made a mistake in the way their XML feed is generated and all apps/pages that use their XML are now broken. I prepared an urgent bug fix, however, I am at work so I do not have much … Read morePlugin Update – WL-IP 2.1 – URGENT!